Baddie – Johnny Depp/Robert Downey Jr. Lesson – If necessity is the mother of invention, reinventions are the weird offspring. Buy the movie, if that’s a thing you’re interested in! I think it’s safe to say that there is a trend in Hollywood to create zany reiterations of things in the past. 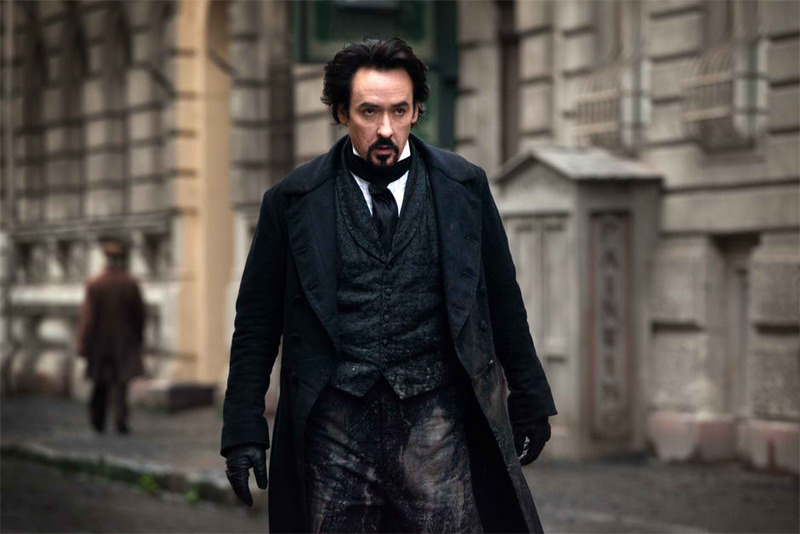 Sherlock Holmes (RDJ) and the BBC Sherlock, Abraham Lincoln: Vampire Hunter, Hansel and Gretel: Witch Hunters, for example. I suspect the new Lone Ranger will follow in this great tradition. This is why I blame RDJ and Johnny Depp. They are overdone, but they’ve set a standard in the process. The Raven tries super hard to accomplish this atmosphere, and fails. What it is, however, is a movie that tries so hard to be something else that the nuggets of good are almost lost. Premise-wise, it’s shaky, but there’s some potential. What if Poe didn’t die in some weird drunken fit? What if he wasn’t some weirdo who married his cousin and wrote creepy poems? The movie starts by stating that no one knows what happened in the last few days of his life. (We do, however, know his last words for some reason?) I’m not going to pretend to be an expert on Poe, so please feel free to leave angry comments if/when I get something wrong. It’s kind of a nice story. Poe is in love! With some chick who defies pretty much every convention of the time and talks him into marrying her. Money? Standing? Who needs it. Never mind that he’s a drunk – he’s Grade A marriage material anyway. Hollywood thinks all interesting and complicated people are drunks (*coughThe Followingcough*). In either case, she gets kidnapped by a fanatic, and held ransom for creative work from Poe. Which is the real Poe? I’ll give you a hint: the right-most Poe is Shelley, aka Single-Malt Movies. 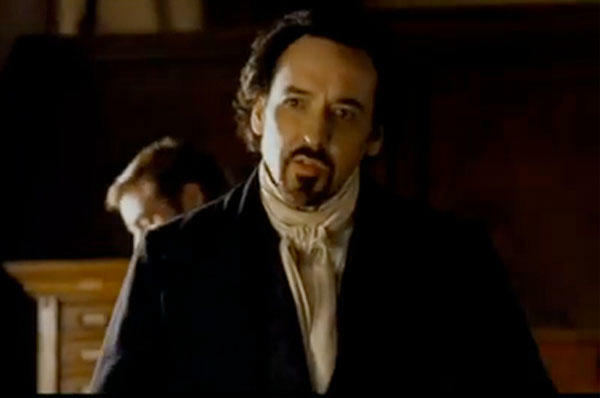 I don’t buy John Cusack as Poe for a hot second. The styling doesn’t really help him out, but as a crazed drunken but extremely literate Poe? The first bar scene is actually awkward to watch as Cusack attempts to sound smart and bitter. He uses the insult ‘mouthbreather’. Twice. The writing sets Poe up to be like RDJ’s Sherlock – kinda nuts, mostly on drugs, too smart for his own good. Cusack is not dynamic enough to pull this off. He really excels at the love parts though, even if their relationship isn’t explained or rational or terribly believable. Having established this – I would watch a movie set-up like Shakespeare in Love, with a fictional but plausible relationship centered around a famous author. If it had kidnapping drama, it’d probably be okay, but the murders are excessive. 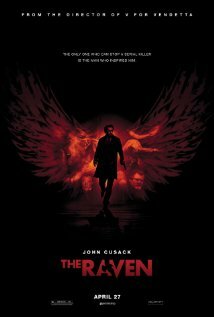 John Cusack in…a romantic role? Inconceivable! The murders themselves are kinda dumb. Poe writes macabre stuff, to be sure, and some of the set ups are interesting but…there isn’t really any tension. I’m not familiar with a lot of Poe, so I only recognized some of the stories, and maybe if I had I would have been more intrigued but I wasn’t. On a horror movie level it really fails. There are a lot of logic errors in this film. One is that if ‘no one knew what happened in Poe’s last days’ it seems really strange that it was published in the newspaper. I’ve already mentioned the weird relationship. It’s weird to blackmail someone for creative work (usually creatives have to beg for attention) but I suppose a psychopath is as a psychopath does. Spoiler, but, how the HELL did Fields get to France before Reynolds?? France is far away! Especially via boat, which is likely from Baltimore at the time. I do, however, know why a typesetter would commit so much murder. Typesetting an entire Poe prose in one night is literally impossible. And since we’re discussing weirdness, why Jules Verne? He’s not a particularly macabre writer, so the fanaticsm doesn’t follow. I…I don’t even want to talk about the raccoon, okay? Why does Edgar Allen Poe own a raccoon!? Is this some mythos I missed? Is it an inside joke? Are Poe die-hards everywhere like, “ROFL, Karl teh Raccoon!”? I don’t understand. If you’re interested in gleaning a love story from the shaky claws of a murder mystery, than by all means, check out The Raven. …The end credits are pretty.